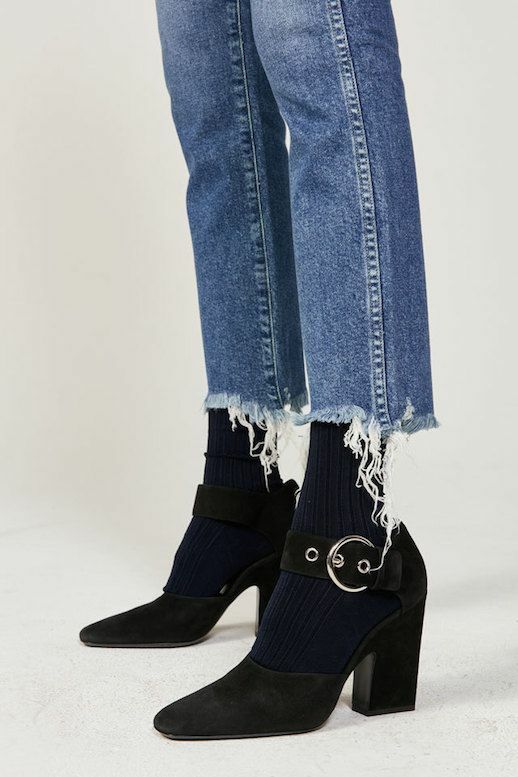 When it comes to jeans this season, you can't go wrong with frayed hems. This casual, yet fashion forward take on the denim trend is super easy to recreate. 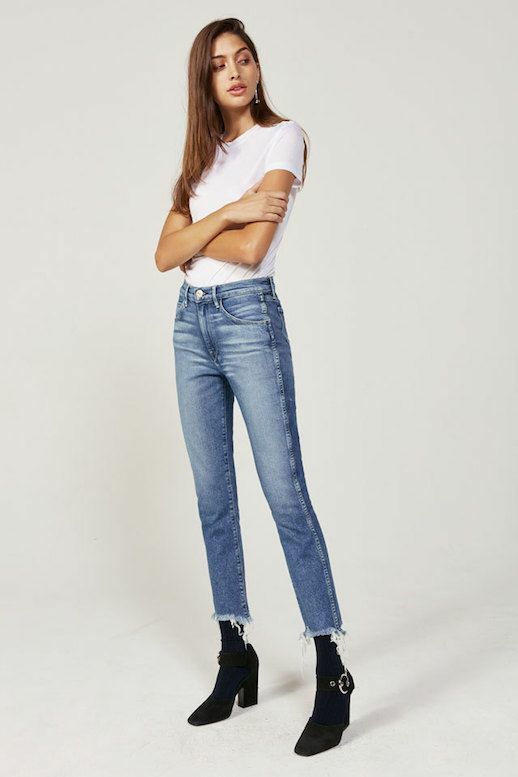 You'll need a classic white tee, frayed hem jeans of your choosing, black tights or socks and a pair of suede mary-jane heels. Complete the outfit with a cool blazer, bomber jacket or other stylish outerwear pick.